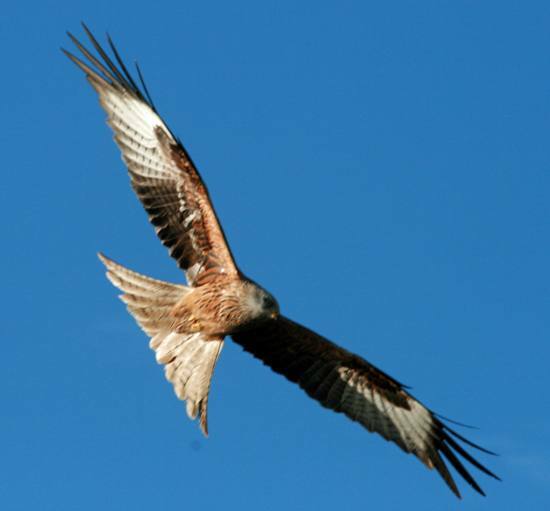 The Red Kite is an increasingly common sight in southern England as well as in its traditional mid-Wales stronghold. 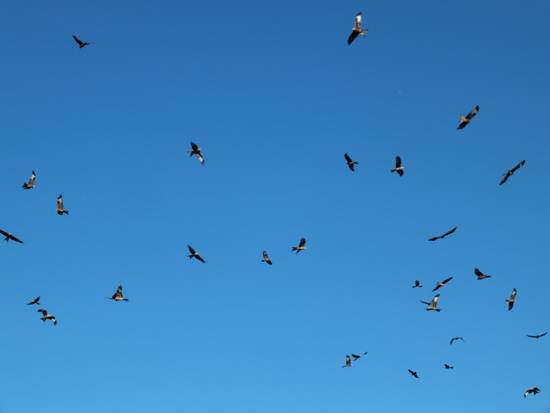 Kites can now be seen in large flocks over the Cambrian Mountains and the lakes and upland valleys of Mid and West Wales. 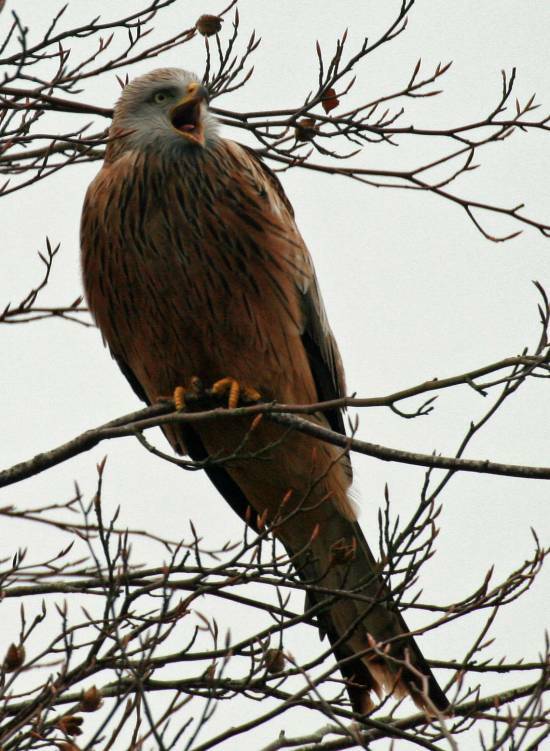 Motorists on the M4 in Berkshire see Red Kites as often as they see jet planes heading for Heathrow Airport. Red Kites are also a very common sight in the Buckinghamshire Chilterns. The distinctive forked tail of this majestic bird is its most obvious feature as it soars and glides effortlessly overhead. Its flight is much more buoyant than that of the Buzzard. Kites feed on small rodents, birds, frogs and even worms. They frequently reuse old nests, which are built of sticks lined untidily with wool, baler twine, cigarette packets - in fact all sorts of rubbish. A brood of two or three eggs is normal.